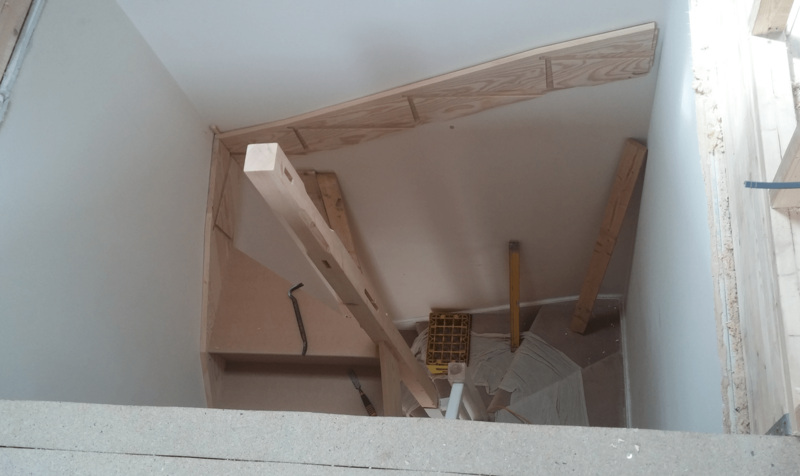 Complete loft conversion have started another conversion on a one hundred year old property for our new clients the loft will have three velux roof windows in the front and a huge dormer window at the back. I haven’t posted for a while because we have had issues with the website and Talk Talk who were handling our business broad band (badly) I would not recommend them in a million years. 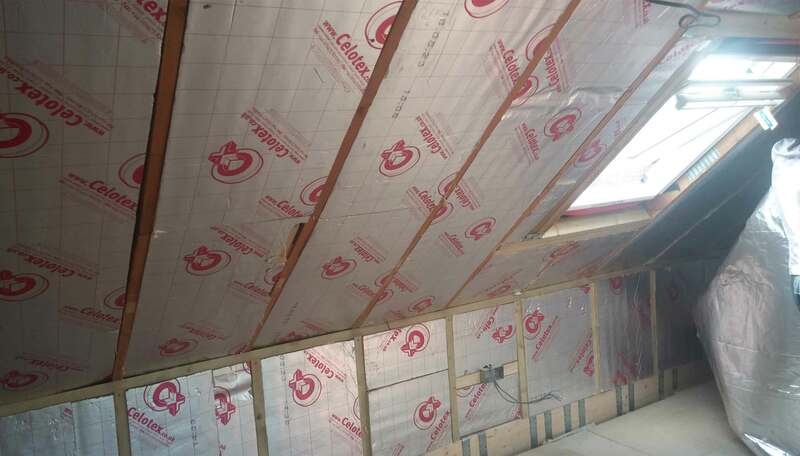 Anyway we are still converting lofts in and around the Ipswich Suffolk area along with other projects including Foxhall rd which we have installed new floor, stairs and steels ready for the massive 6 meters dormer clad with slate on the back of the property. The floors concept of 8×2 C24 timbers sitting on the external walls and the internal load bearing walls to accept the 22mm caber floor. As we can see from the images the loft is a hand cut roof with no felt so the whole of the roof is being membraned while the scaffold is up. As the property is over 100 years old and the chimney stack is still in use we needed to provide a 90mm x 90mm post to hold the ridge beam up. For more on information on New regulations for loft insulation please follow this link. We will keep updating the site with more info once we break into the roof. 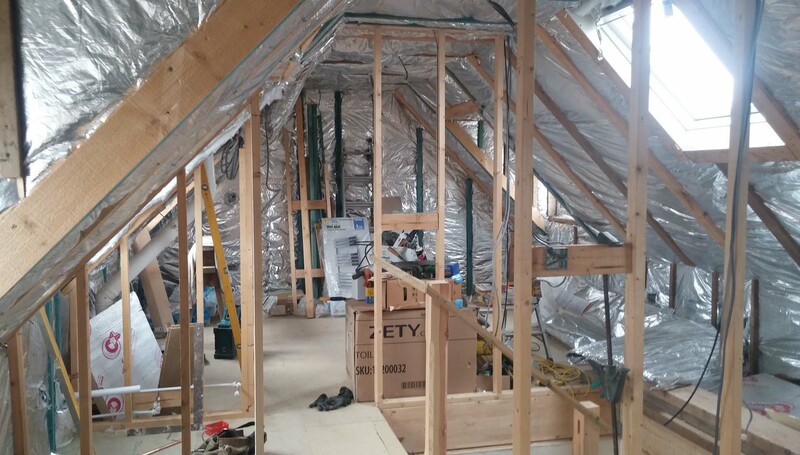 We were established in 2005 and have carried out many projects including refurbishment's, shop fitting, extensions and general building, we found ourselves doing more and more loft conversions and timber framing so you could say we are specialists in all things timber and beyond.